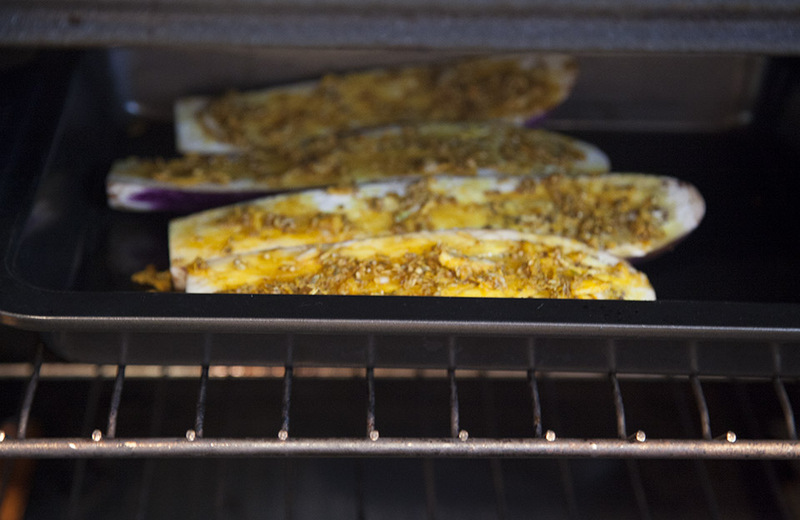 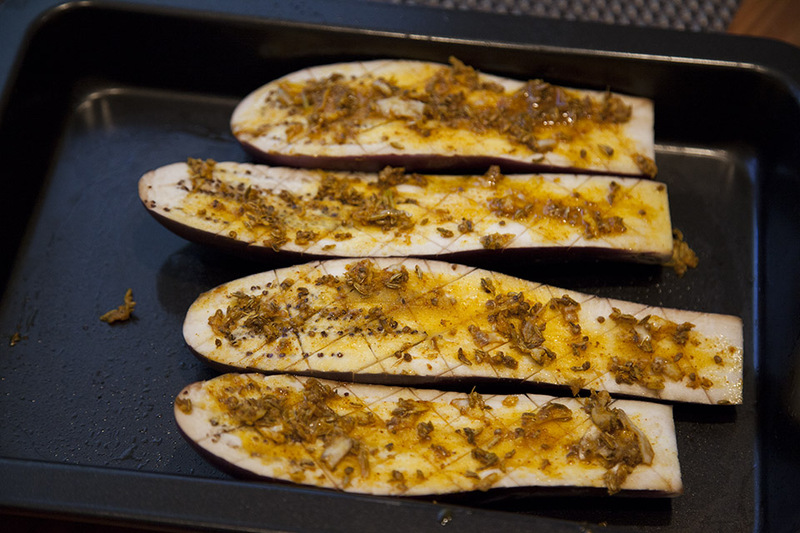 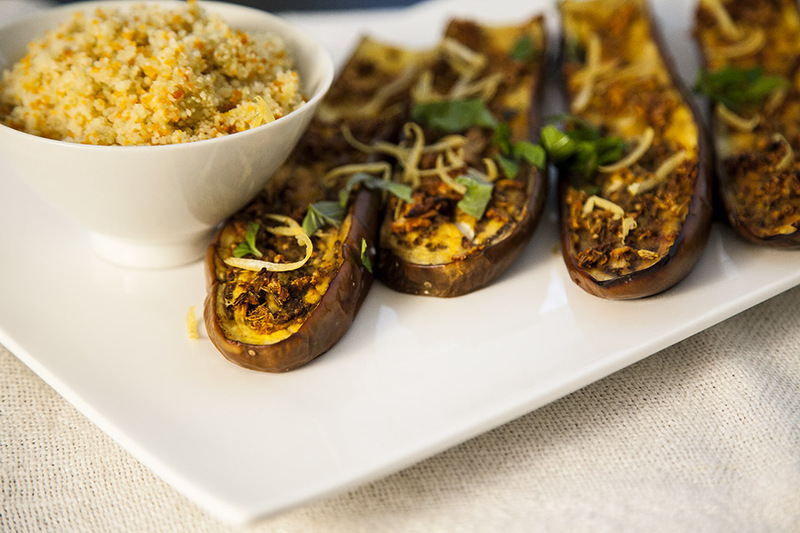 These baked eggplants can be a great appetizer, side dish or main dish, if you serve it with couscous. 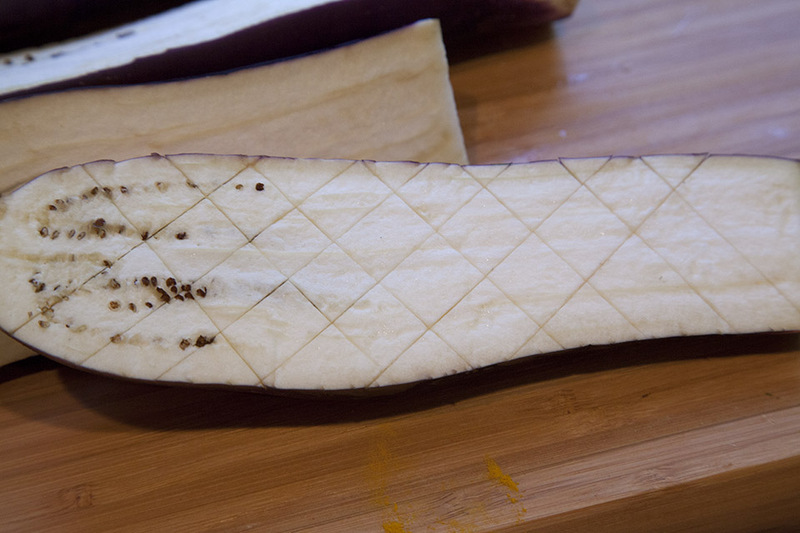 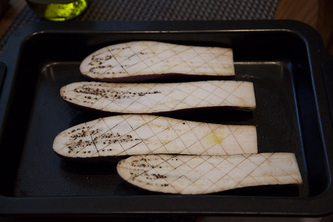 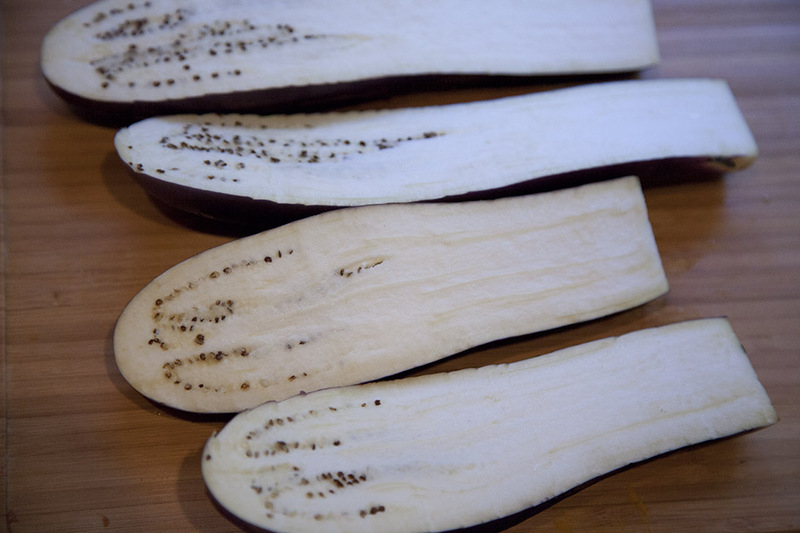 Cut eggplants in half lengthwise and than crosswise to make diagonal cuts, being careful not to cut through the skin. Salt eggplant halves and leave for a while. 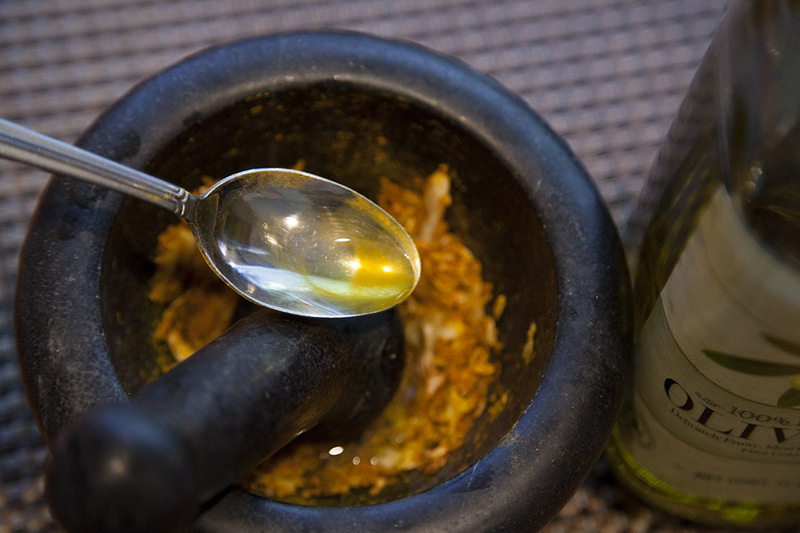 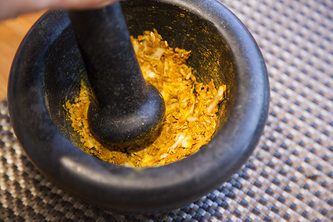 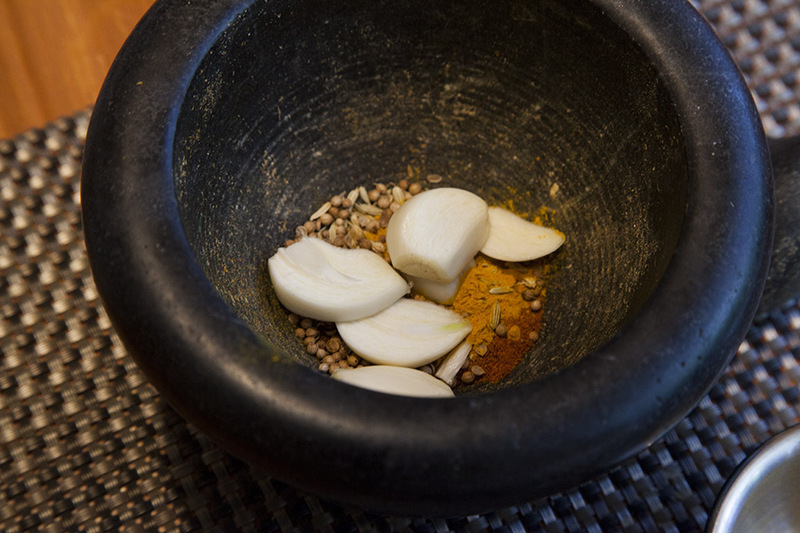 Garlic, red pepper, coriander, turmeric, fennel, and salt grind in a mortar, then pour 2-3 tbsp. tablespoons of olive oil and mix well. 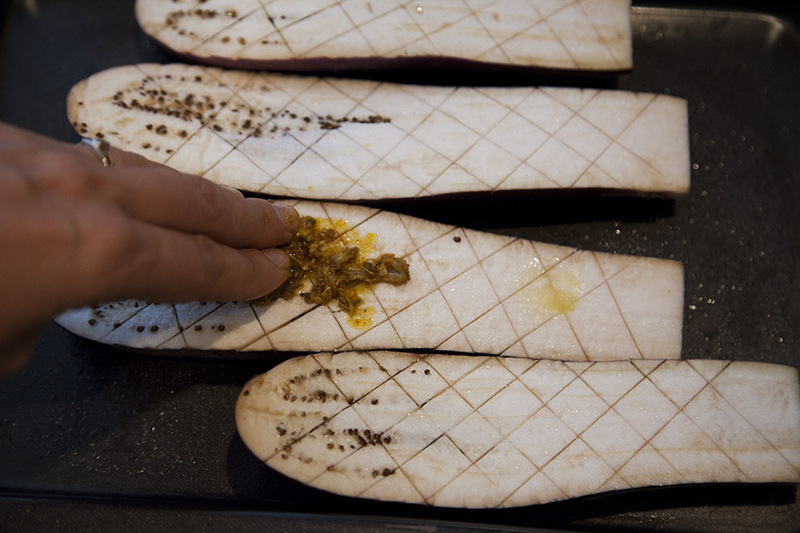 Put eggplants in a backing pan, slice up. 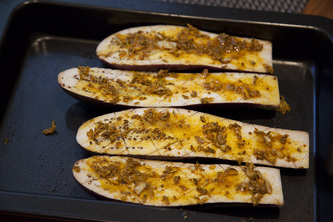 Rub them with spicy dressing and bake in a preheated oven until tender, 20-25 minutes. 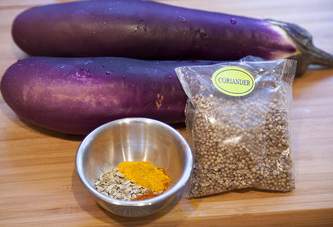 Eggplants were served with this couscous.